Approximate Weight – 276 Lbs. 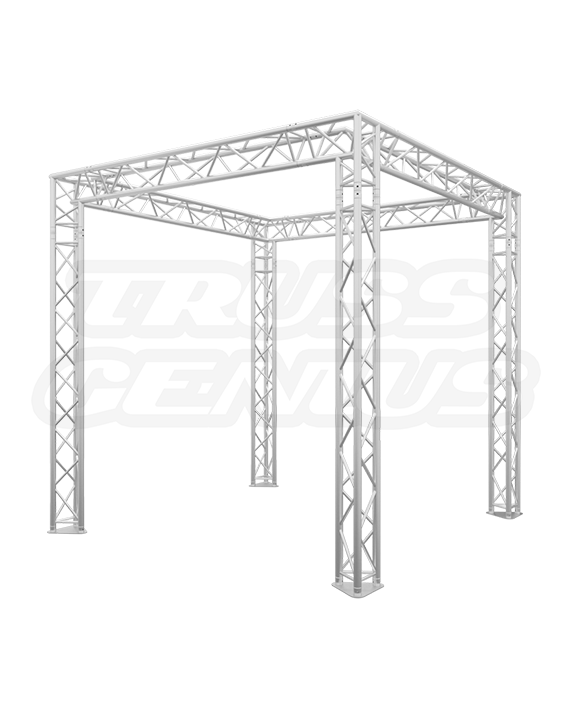 10×10 Trade Show Booth Design with Modular F33 Triangular Trusses. 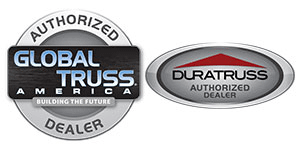 The truss booth system can typically be set-up by two to three people who are familiar with the truss booth system and the only tool required would be a steel hammer. 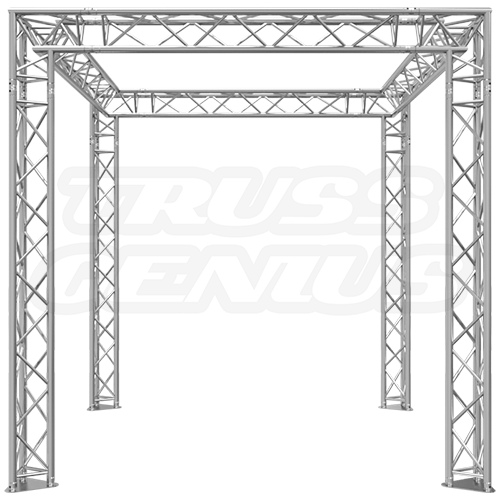 The truss booth can be expanded to a larger size by adding additional pieces from our F33 Triangular Aluminum Truss series. 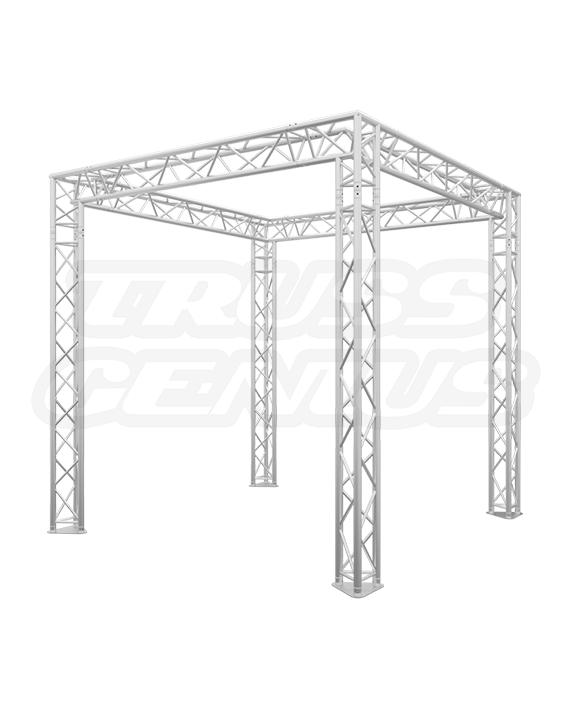 Our line of 50mm 1.96″ – Clamps were specifically developed for this truss system.Truss Booth can be used as a small island booth or inline booth. STRUCTURE HAS BEEN DESIGNED FOR A MAXIMUM RIGGING LOAD OF 140 POUNDS PER LINEAR FOOT ON EACH OF THE FOUR SPANS WITH 70 POUNDS PER LINEAR FOOT APPLIED TO EACH OF THE TOP TWO CHORDS. STRUCTURE HAS BEEN DESIGNED FOR A MAXIMUM RIGGING LOAD OF 80 POUNDS PER LINEAR FOOT ON EACH OF THE FOUR SPANS APPLIED ONLY THE BOTTOM CHORD. 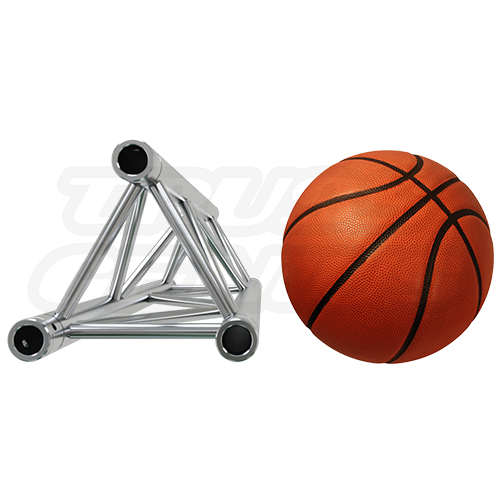 STRUCTURE HAS BEEN DESIGNED FOR A MAXIMUM RIGGING CENTER POINT LOAD OF 630 POUNDS ON EACH OF THE FOUR SPANS APPLIED ONLY THE BOTTOM CHORD. RIGGING ASSUMES NO BRIDLING. WHEN USING A REAR SCRIM, THE STRUCTURE REQUIRES 800-LBS. BALLAST ON EACH CORNER OR ANCHORAGE TO CONCRETE SLAB. Do not exceed the load capacity of the F33 Truss Booth System. The F33 Truss Booth System should be fully inspected before use. 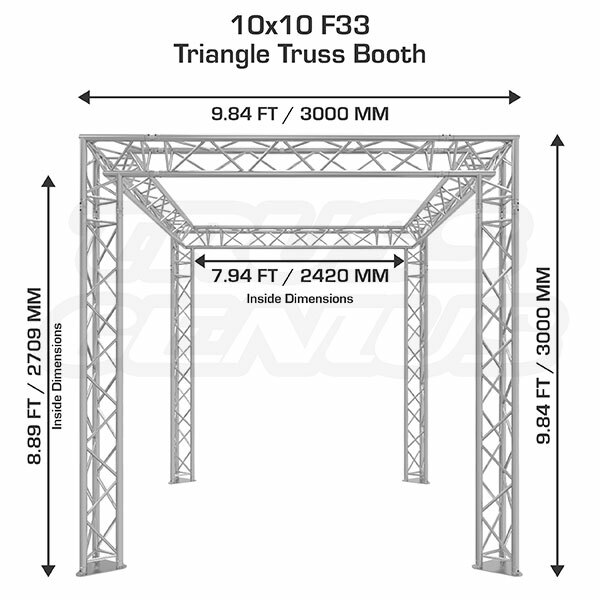 In the occurrence of any damage or defect, the F33 Truss Booth System should not be used. The use of sand bags is recommended for maximum security.